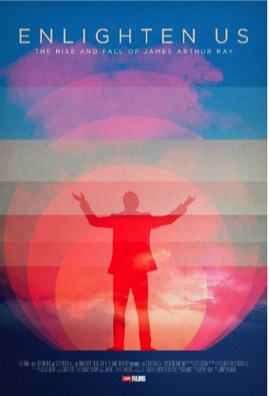 ENLIGHTEN US:THE RISE AND FALL OF JAMES ARTHUR RAY is a surprisingly good look at the self help guru who rose thanks to appearances on Oprah, but who lost it all when three people died on a week long retreat. Starting when Ray is getting out of prison, the film the film looks at where he was and where he's going. What makes the film absolutely fascinating is that the film isn't clear as to where it stands on Ray, at times painting him as a nice guy and at others as a bit of a jerk. A must see for anyone who doesn't want easy answers.